There are currently 1 user and 1416 guests online. 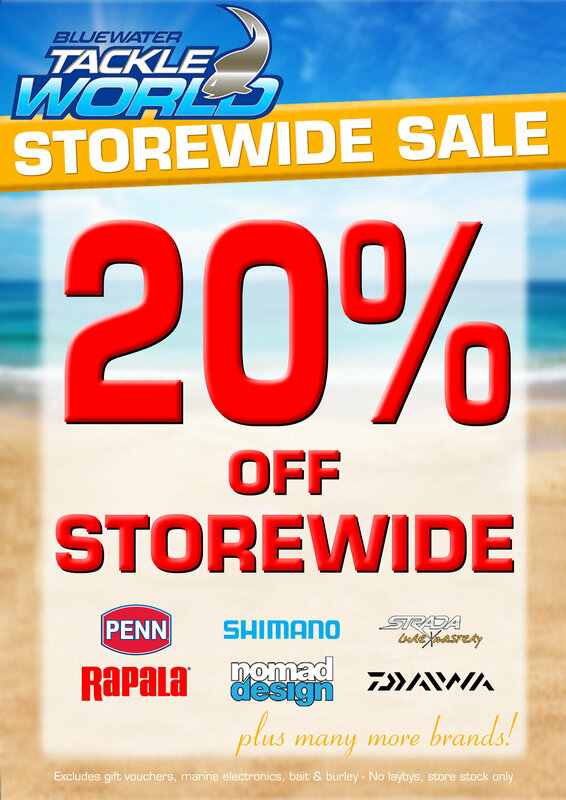 Bluewater Tackle World Storewide Sale!!! Fishwrecked member early access! Jump in store this weekend only to take advantage of our 20% off STOREWIDE SALE!!! Mention you are a Fishwrecked member this afternoon ang get early access to our sale! Sale starts Saturday and ends Sunday!